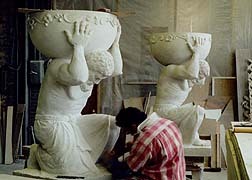 Ferree Studios designs and creates statuary from the fanciful to the dramatic. We can also produce 3D portraits of you and your loved ones. Contact us for additional information.